A recent analysis by Berkeley Lab on the importance of space cooling (air conditioning) in Mexico's energy landscape found that this use accounted for a summer electricity consumption increase by 30%; represents nine percent of total electricity use and produces a peak electricity demand of 7.5 GW. In addition, space cooling absorbs over $US 3 billion per year in energy bills and subsidies, generates 10 million metric tons of CO2 and creates a peak demand that is not well correlated to renewable resources. The research, titled "Mexico Cooling Fact Book" and led by Michael McNeil, Director of the Mexico Energy Initiative at Berkeley Lab (MEI), concludes that cooling energy in Mexico is projected to double by 2030 and increase by a factor of 3.5 by 2050, following global trends. In light of the importance of space cooling in Mexico's energy system, as well as the available tools to mitigate its impacts (e.g. 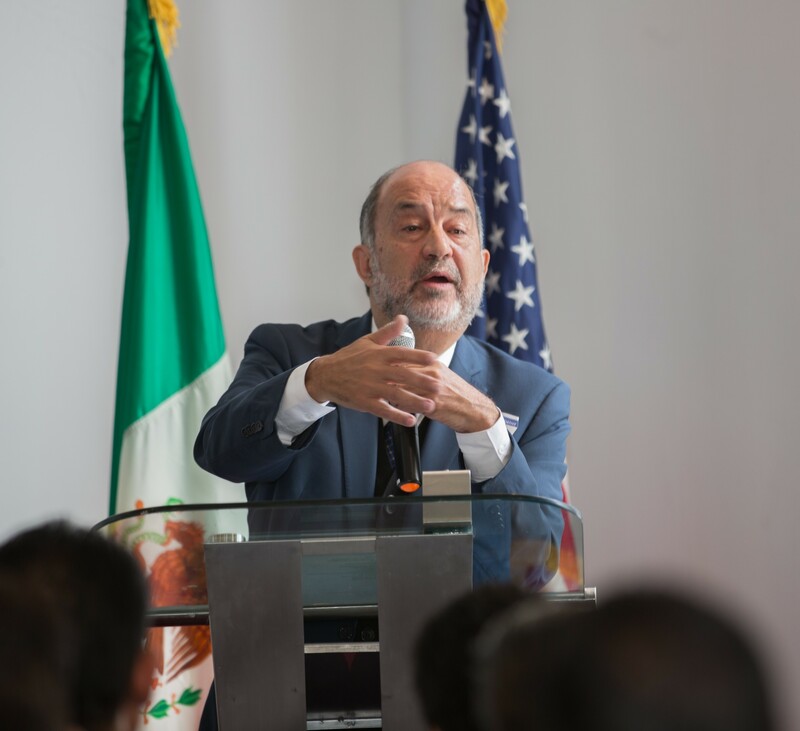 equipment efficiency and advanced construction), MEI partnered with USAID's Office of Energy and Infrastructure, Mexico's Ministry of Energy (SENER) and the National Commission for the Efficient Use of Energy (CONUEE) to organize the workshop "Summit on Space Cooling Research Needs and Opportunities in Mexico", held in February 2018 at Casa de la Universidad de California in Mexico City. The potential opportunities to reduce energy cooling demand and related environmental impacts were highlighted in remarks made during the opening of the workshop by Santiago Creuheras, Director General for Energy Efficiency and Sustainability at SENER, Carlos Ortiz, Director General for Research, Technological Development and Human Resource Training (SENER) and Odón de Buen, Director General of CONUEE. Monica Bansal, Deputy Energy Division Chief at USAID's Energy and Infrastructure Office, stated that the workshop was intended to serve as a first step toward the possible development of R&D projects in the field. In this unique event, representatives from Mexican federal and state government agencies, research centers, HVAC and construction industries, NGO's and international organizations discussed opportunities, barriers and solutions to lowering cooling energy consumption in six areas of practice: equipment efficiency standards, voluntary adoption programs, technology R&D, building codes, cool roof surfaces and advanced building design and operation. The break-out sessions, coordinated by representatives of partner institutions set the stage for a Mexico Cooling Initiative with goals to cut cooling energy demand by half versus Business-As-Usual and save 100 billion dollars of electricity costs and subsidies by 2050. The workshop program included panel discussions with representatives from Industry and international cooperation organizations. MEI will produce a summary of the conclusions of the workshop for wide distribution to all participants and other stakeholders. It will also support the establishment of a "community of practice" around space cooling in Mexico as a next step in the development of the Mexico Cooling Initiative.